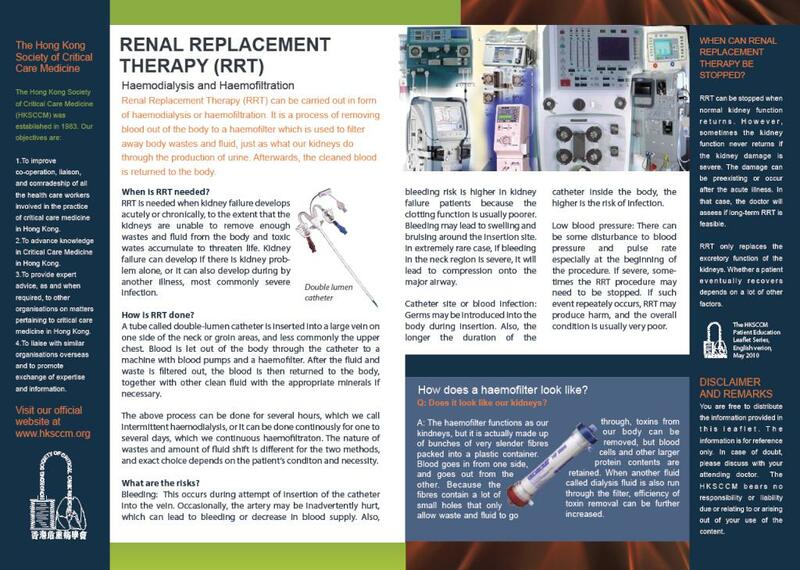 The information leaflet is specially designed for patient education and for obtaining consent to undergo renal replacement therapy. You are free to distribute it to the patient or the relatives. A Chinese version will be available later.